It’s no secret that the rapidly aging population of the world is causing concern across the globe. One nation, in particular, however has perhaps the greatest potential for adversity. In China, the number of individuals over the age of 60 will burgeon to 431 million by the year 2050, setting the country up to be home to more people with dementia in the year 2040 than the rest of the developed world combined. 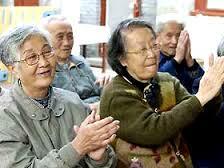 Recent laws in China have begun to impose fines on family members not caring for senior relatives, however a new “banking” idea is also being used. While seniors need care now, the need is only going to grow. In an effort to help combat the cycle, some areas are offering “volunteer bank” programs. Volunteer workers are trained by the government and then use the training to care for senior citizens in need of assistance. For each hour of volunteer care provided, you receive an hour in your care “bank” which can be debited against when you are older and in need of care. While the program is gaining ground in China, many seniors here in the United States are instead paying for care provided by in-home elder care agencies, many of whom are using a home care software or home care system, like ClearCare Online to manage how they care for seniors. Unlike volunteers in China, paid caregivers here in the United States are typically desired to be under strict supervision, as family caregivers want to be assured that their loved one is receiving the best quality care. For American home care agencies, using a home care software or home care system, like ClearCare Online allows care tasks and caregiver arrivals and departures to be easily monitored. For example, when a family chooses to use a home care agency that uses a home care software or home care system, like ClearCare Online, they may be given access to a family portal within the home care system that allows easy review of care logs, invoices and upcoming scheduled shifts. This also means that the home care software allows family members to know that caregivers are there when they should be – and with alerts triggered by the home care software if a caregiver misses a clock-in, agency supervisors can quickly respond to ensure seniors have the care they need – when they need it. While a volunteer banking model will be interesting to watch in China, especially as generations cycle through and begin to debit against banked hours, home care in the United States, managed by a home care software such as ClearCare Online is a solution that ensures quality care for a continually increasing elderly population.